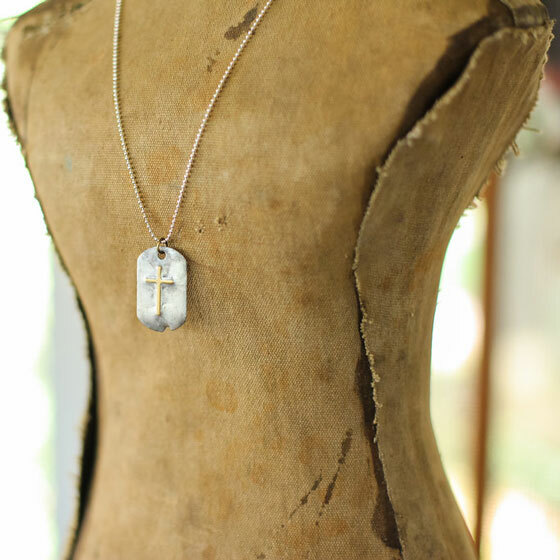 A thin brass cross is soldered to a small dog tag. 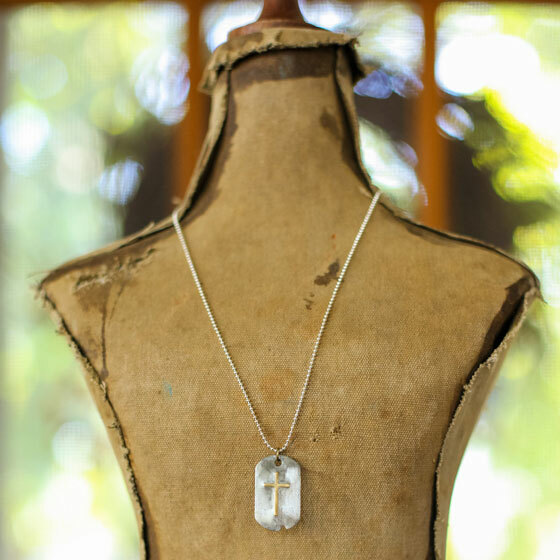 The dog tag measures approximately 1″x.5″. 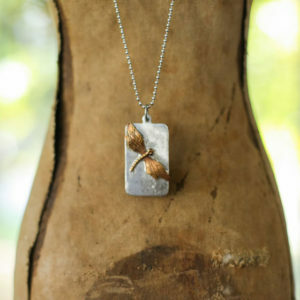 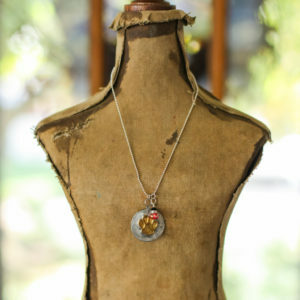 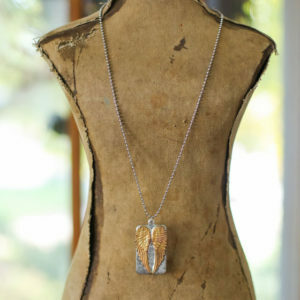 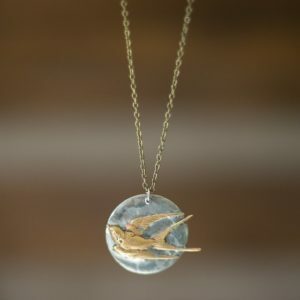 The necklace is stainless steel and is approximately 18″.